The sitcom format had some major wins this year. 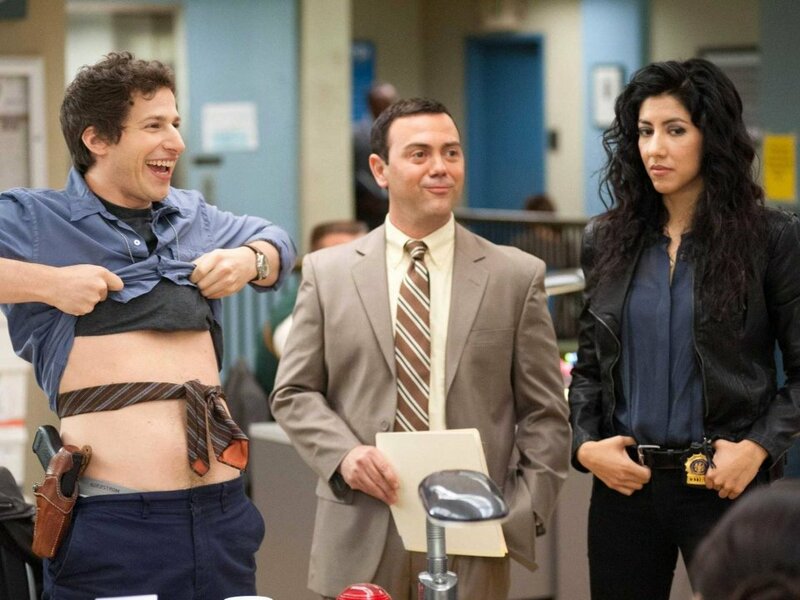 At the top of the list is award winning (Golden Globe) police comedy Brooklyn Nine-Nine. This series has been relentlessly funny all season. The publicity the Golden Globes brought helped this series get an early season two pick-up despite relatively low ratings. It has been almost universally acclaimed, and for good reason. With FOX seemingly giving it a lot of support. Meanwhile, military comedy Enlisted has had a different experience with FOX (far more akin to brilliant but doomed series Firefly). Enlisted was unlucky from the beginning, being a mid-season pick-up (first airing in the US on January 10th). The time slot it was given was woeful, and has since gotten worse. There’s been little promotion for the series despite positive critical reception. FOX has aired episodes out of order (like it did with Firefly), constantly changed the airing time slot, and has now effectively pulled it from the schedule altogether (replacing it with ‘Kitchen Nightmares’ – what an insult! ), claiming that the outstanding episodes will be aired ‘at some point’. I will admit that Brooklyn Nine-Nine is the better show, but Enlisted is not far behind. And I have to wonder what the show could achieve with the support it deserves. Come on FOX, don’t screw us over again. 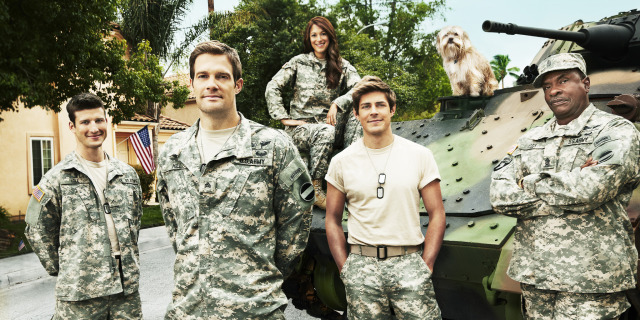 Give Enlisted another chance – give it a good time slot, promote it, and stop messing with the airing order. You never know what kind of gem you have if you’d just give it the chance to grow. If someone had said to me ‘you should totally watch this new police comedy’ I would not have been interested. Luckily, this series was pitched to me through Andy Samberg and my love for The Lonely Island made me curious. I was in stitches (yes, literally) throughout the pilot episode and have continued this pattern of laugh-out-loud appreciation during the entire run of the first season. This truly is an impressive feat – I don’t think there was a single ‘dud’ episode in the mix – and for a first season of any TV series that’s pretty spectacular. There was no awkward ‘finding its feet’ moments. 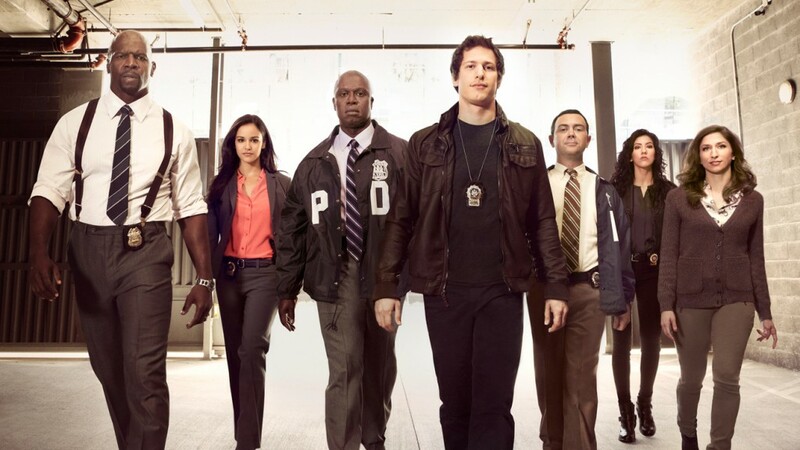 Brooklyn Nine-Nine hit the ground running and never looked back. Brooklyn’s Police Department is populated with characters of all shapes, sizes, and mental states. Most charismatic of the bunch is Jake Peralta (Andy Samberg, who has won a Best Actor Golden Globe for his efforts). Detective Peralta enjoys his job – perhaps a little bit too much. When a new Captain comes to the precinct, Peralta immediately causes friction with the rule-following approach of the openly gay Captain Holt (Andre Braugher) and his deadpan response to life. 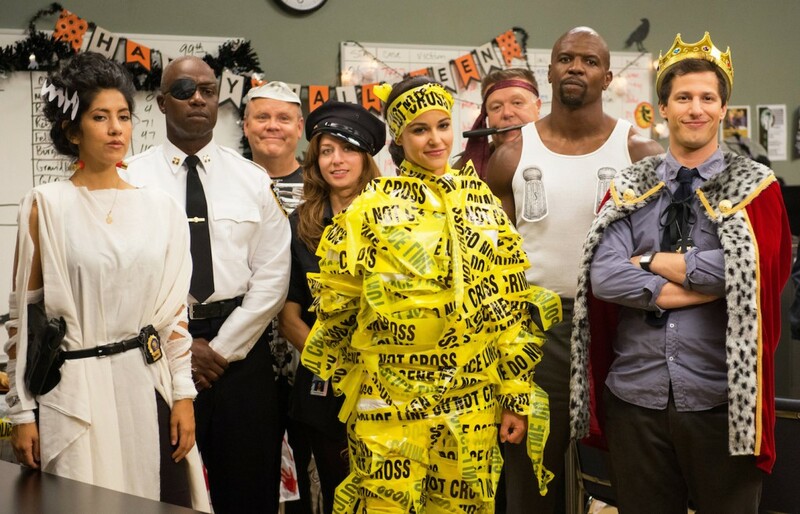 The rest of the team is made up of Rosa Diaz (Stephanie Beatriz), Amy Santiago (Melissa Fumero), Charles Boyle (Joe Lo Truglio), Gina Linetti (Chelsea Peretti), and Terry Jeffords (Terry Crews). While their personalities play to the extremes (often necessary in sitcoms), they are not simply stereotypes. They are all well-rounded characters with depth and personality. Meanwhile, recurring characters Hitchcock (Dirk Blocker) and Scully (Joel McKinnon Miller) have been promoted to series regulars for season 2. 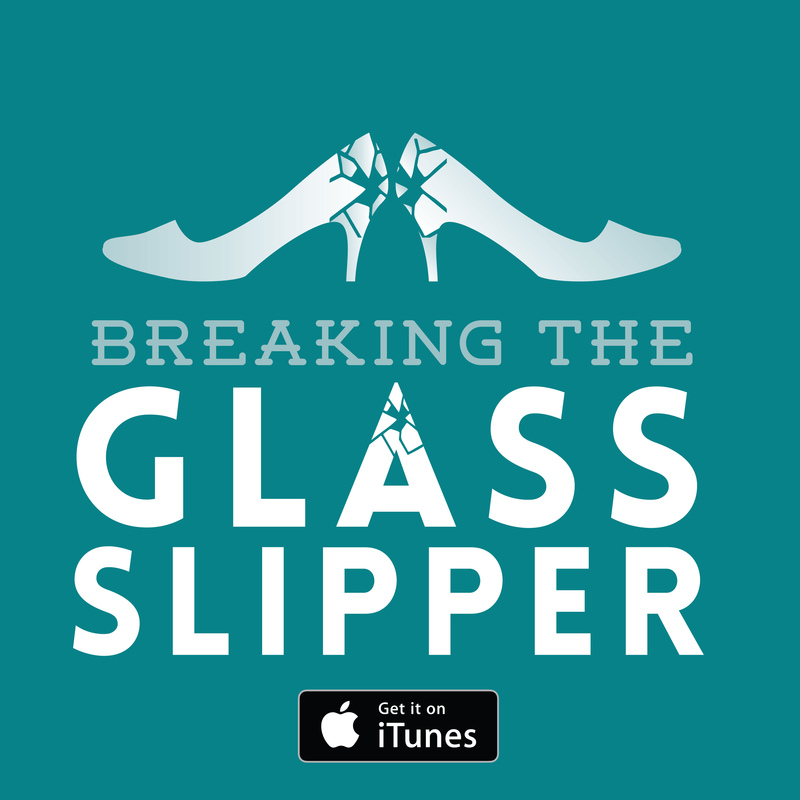 Crime procedurals (and other genre and format driven series) are all over our TV programming. Hasn’t everyone had enough yet? Brooklyn Nine-Nine works because it is not so predictable. That seems a little at odds with it being a sitcom, I know. I’m not saying that it doesn’t have the standard something goes wrong and a character has to learn something about themselves by the end of the episode while still returning to the same condition they begun the episode in… That’s still there. But the cause of the conflict or character dilemma in each episode always changes. Sometimes it is related to the job, a particular case, a personal relationship, or completely ordinary events such as Thanksgiving. 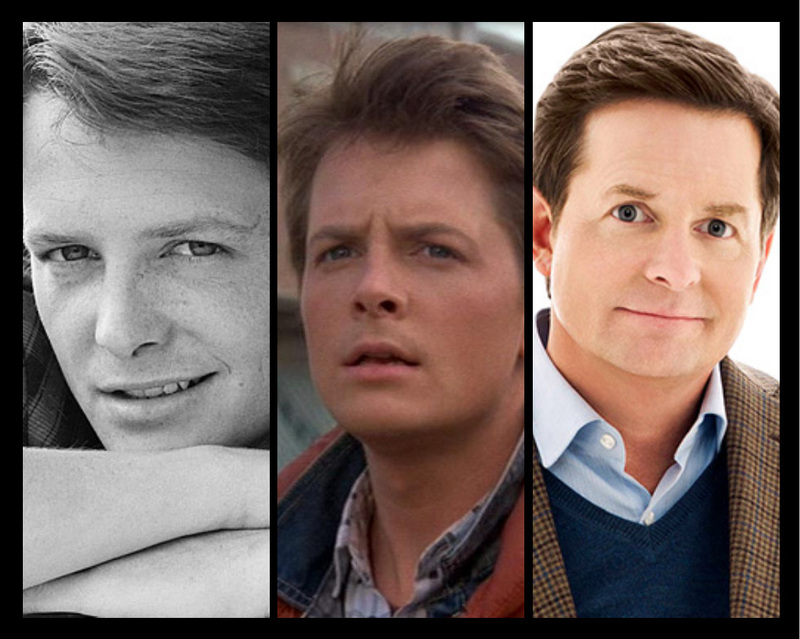 Each character – and actor – brings their own unique attributes to the series. It manages to address social issues in a light-hearted and not ‘preachy’ way, including poverty, homosexuality, corruption in the police force, gender stereotypes, and race. The creators of the show are comedy veterans and know exactly what they are doing. Michael Schur has worked on the US version of The Office and was co-creator of NBC’s hit Parks and Recreation. Dan Goor is an alum of The Daily Show, Last Call with Carson Daily, Late Night with Conan O’Brien, and has also worked with Schur on Parks and Recreation. Great acting, great writing, what more could a show want? Well, the backing of its studio certainly helps. The ratings of the series were average at best when it won two Golden Globes, propelling it into the limelight. Then came the release of the series in overseas markets, given a boon from the awards. The series certainly deserves all the attention it is getting. Let’s just hope it manages to maintain the quality of the comedy rather than fizzling out quickly (like another FOX sitcom, New Girl). In my excitement over the Veronica Mars movie, I admit to trawling through every cast members’ IMDB and Wikipedia pages. I’m not ashamed of my stalker-like tendencies. I noticed on Chris Lowell’s page that he had a new sitcom and I jumped on board immediately. That’s right, it’s the cute one from season 3 with the bad hair. Poor Piz, everyone has always (rightly) been team Logan, but it isn’t that we don’t like you! Enlisted quickly became another favourite series of mine. It is definitely a ‘never miss’. It’s funny with an unusual setting for a sitcom. I didn’t even know what rear detachment was, so I’m learning a lot. Yes, I get it, I’m naïve, I didn’t even know you could be in the army without being an active soldier. Who knew! Staff Sergeant Pete Hill (Geoff Stults) is demoted to Sergeant and shipped Stateside after a confrontation with a superior officer. To his disgust, he is assigned to a rear detachment unit in Florida where both his younger brothers (Chris Lowell and Parker Young) already serve. Pete is tasked with his own command of rag-tag characters, where he finds himself in competition with another platoon led by Jill Perez (Angelique Cabral), while frequently coming under fire from his commanding officer, Command Sergeant Major Donald Cody (Keith David). On paper, the premise of Enlisted doesn’t really sound all that funny – but then again, what sitcoms do? Friends, one of the most successful sitcoms of all time is essentially just about a group of friends. Ummm, what’s so funny about that? And Seinfeld? It’s a sitcom about ‘nothing’. But hey, observant, irreverent humour that finds itself firmly rooted in real life is always the best kind of humour. I can’t personally relate to being in the army but the situations have enough of a normal real world feel that anyone can enjoy them. The show was created by Kevin Biegel, whose first writing gig was on Scrubs. Scrubs creator Bill Lawrence co-created Cougar Town with Biegel before Biegel created Enlisted. With successful comedies already under his belt, it is surprising that FOX didn’t put more support behind Enlisted. The actors are fantastic, with the three brothers having a great on-screen chemistry. Meanwhile, the cast of supporting characters makes up a brilliant ensemble. Special mentions go to Tania Gunadi and Michelle Buteau for portraying some fabulously outrageous army women (it’s nice to see that ‘tough girl’ stereotype for army women being mixed up a little). So why hasn’t the studio given it’s support?! This is my question to you FOX. Do you see what you have here? Enlisted is a great show and could potentially be another feather in your cap. Don’t screw this up. Make sure we get to see the final four episodes of this season in a decent time slot and please, please renew the show for a second season. 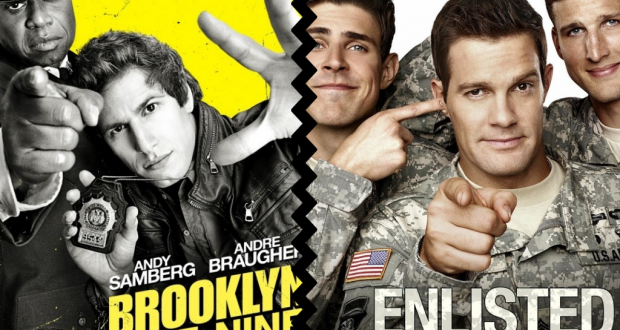 For those of you who haven’t yet watched either show, make sure you make time for both Brooklyn Nine-Nine and Enlisted. They are well worth it. B99 is amazing – Jake Peralta is my hero!!! Not tried enlisted – Sounds interesting though i’ll have to give it a watch.